I've finished up these churn dash blocks that I started quite awhile ago. 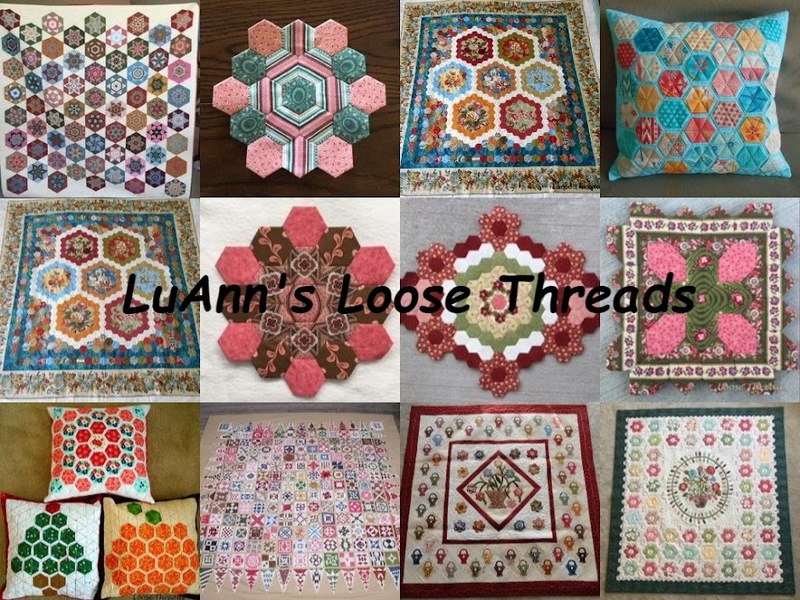 I hope to get them sewn into a quilt top by the end of the weekend. I'm crocheting another baby afghan from the basketweave blanket pattern that I got at Knitting Today up in Wolcotville in northern Indiana. Here is a close up of the blanket. Looks like I'm in a pink mood. And, I've started to crochet this baby afghan. The picture doesn't do the colors justice, but it is aqua, green, pink blue and off white variegated yarn. I'm trying to use up some of the fabric and yarn I have here and finish up some of my UFOs. I haven't bought much so far this year. But, then there is the retreat up in Shipshewana. There is some good shopping to be done there. The weather here is gorgeous. I know there won't be any more snow this season because we spent a lot of time looking for a new snow shovel - one of the plastic type ones that is lighter weight. We found one after we had all of the big snows, and it hasn't snowed since. It will look pretty just sitting there in the garage. That's just fine with me. I'm ready for spring. Hope you are all stitching, knitting or crocheting this weekend. This week my daughter, Kim, has been here visiting since it is her spring break from Purdue. We've been busy and have been having fun. Bill took today off work, so we went to see a couple of movies. 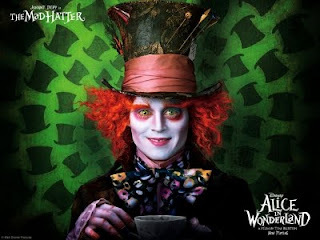 This morning we saw Alice in Wonderland with Johnny Depp as The Mad Hatter. It was good but not quite what I expected. It has been so many years since I read the book that I don't know how closely this movie follows the book. 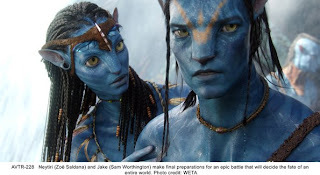 Then this evening we went to see Avatar. This is not quite the type of movie that I would choose, but I'm glad I saw it. It was interesting with lots of special effects. Do you remember back in the day when we used to wear those 3-D glasses with one red lens and one blue lens? Well both movies that we saw today were in 3-D. Things don't quite jump out at you like they used to, but it does give the movies a little extra something. I've read where this is the wave of the future for movies and that there are many more to come out in 3-D in the future. I brought my glasses home for a blog picture, but at some point I'll take them back to the theater and drop them in the recycle box. I've also been doing a little handwork. Here is a basket weave baby blanket I've been knitting. I really love this pattern. It was a pattern that the owner of Knitting Today in Wolcotville, Indiana, gave me a couple of years ago when I was there. I've also had the fever to crochet a granny square baby blanket so here is the one I've been working on. I'm almost out of yarn so this might be about the finished size. Hope you are all finding some time to stitch....or knit or crochet today. This past weekend was the Indiana Heritage Quilt Show in Bloomington, Indiana. For the first time I entered two of my quilts in the show, and I received a Judge's Recognition ribbon on my mini nine patch quilt. I also entered my Nearly Insane quilt. Here is the group of us after the show. Look at the stained glass windows. Are we at prayer meeting? What's wrong with this picture? Left to right: Theresa, Carol, me, Claire, Marie and Edith. It was a fun day with quilts, fabric and friends. Hope you find some time to stitch today.